The holiday season will soon be arriving. The time to start getting ready is here, and that includes planning your affiliate marketing strategy for the season. As you might suspect, this is prime time for sharing deals, discounts, and your best gift ideas with your followers, as many of them shift into shopping mode. If you’re only thinking in terms of gifts though, you’re overlooking an opportunity to recommend other products your audience is looking for: hosting supplies! ‘Tis the season for get-togethers, and you can bet that many of your followers intend to host a holiday bash or two. Relieve their event-prep stress — and boost your affiliate income — with Idea Lists specially curated for holiday hangouts. They’ll be grateful for your recommendations and the one-stop shopping experience, and you’ll maximise your earnings while continuing to be a valuable resource to your community. Here’s the rundown. First, if you haven’t created an Idea List, or need a refresher on the basics, check out this tutorial. Now to add products! Start with the essentials. Most events involve food, drinks, entertainment, and ambience, so add dishware, napkins, eating utensils, cooking gear, games or props for planned activities, music, decor, lighting, scents. If you’re thinking a lot of this depends on the specific holiday or party theme, you’re right. It’s best to create separate lists for each occasion to make it easier for your followers to shop. And on that note, after you’ve covered the must-haves, begin adding the special touches unique to the vibe of the event — think themed decorations, festive dishware, etc. Have fun with it! And finally, include your personal faves. Recall similar events you’ve attended: What were the stand-out elements that made the party special and memorable to you? And what are the key ingredients in your own perfect hosting scenario? Your audience follows you because they align with or aspire to emulate your taste, so be sure to include plenty of your own flair in your guide..
With all the products added, it’s time to get your list into top shopping shape. If you haven’t already, give it an engaging, on-brand name — something enticing, that also fits the tone of your content elsewhere. Next think through the order of the items: should it follow the same essentials-to-faves order above (or that order reversed)? Does it make more sense to list items by price? Would it be more helpful to group items by category? You know your community best, so think about what your followers would most appreciate, and adjust accordingly. One final (fun) step before sharing: Add captions! 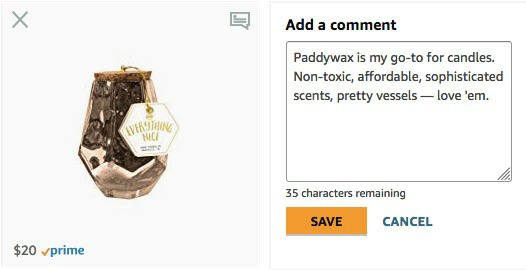 For each product in your list, include a caption explaining why you added it or why you love it (here’s how). Again, your community looks to you as a tastemaker, so letting them know why you recommend specifically these products goes a long way. Finally, it’s time to drive traffic to your lists! We’ve outlined everything you need to know and do for this phase in the article linked below. 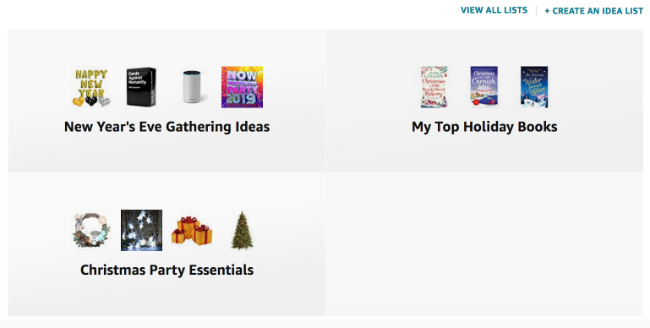 Check it out for the final steps in the process: Driving Traffic to Your Holiday Hosting Supply Guide.